Having children has definitely made our lives far richer than I could ever have known or imagined. My only wish is that hubby and I had more time to plan and dream about our lives and our future like we did when we were first together. While I love where we are 13 years and 10 months on, I sometimes wish we could jump through a portal and go back to those days when it was just us. It would be nice to enjoy that ‘specialness of newly wedded bliss’ with no responsibilities again. Now don’t go assuming that I regret having children because I don’t. Far from it. I love being a mum and while I don’t always enjoy all the chaos children bring, I do love them all beyond words. Let’s face it though – marriage changes once the children arrive. For some couples, the relationship is set in rock and both husbands and wives work together for the benefit of their family, but sadly for other couples, their marriages falls apart. The true definition of the word ‘busy’ becomes very real to most women post their baby’s delivery, and while most days in my experience are pretty good, we still have to deal with so many issues that come our way – sleep deprivation, behaviour management, sibling rivalry, feeding, bathing, general helping, kindy, school, homework, learning difficulties, assignments, school events and rosters, time management, friendship issues, work, social events for mums/couples/families, bills, budgeting and house keeping. These are just a few of the every day issues we mums have to deal with on a daily basis. Most husbands appreciate how much time and energy their wives or partners put into the family while they are at their jobs, but can sometimes feel a little separated from the circle created between mother and children while they are at work. For marriage to work there must be connection, a strong commitment to one another, a willingness to communicate effectively, fun, and when all else fails, a willingness to seek counsel. I have come to believe that successful relationships have rules. Marriages start by standing in front of family and friends in beautiful gowns and suits to say special vows of promises to one another – Sentiments of love and faithfulness, vows for a life time. After the wedding and honeymoon the newly married couple have to work out how to live with each other. That is, if you have not yet moved in together. The marriage officially begins and you have to learn to live together. How do you communicate with each other when your emotional or tired? How do you solve problems? What is each person responsible for in the house hold? What is each person’s role? 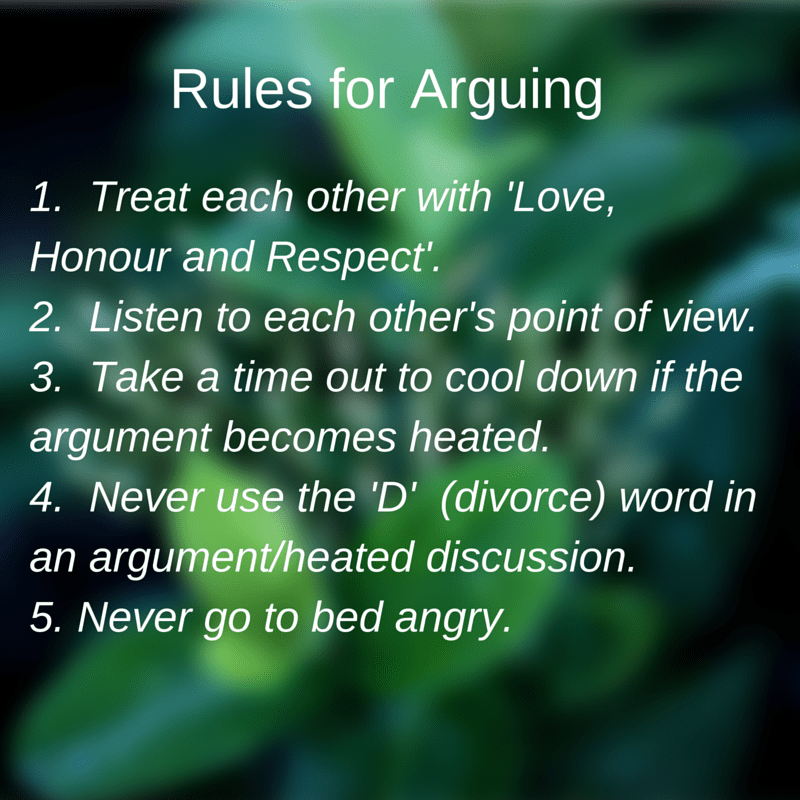 Do you have rules for when you argue? Every marriage can do with a little booster shot once in a while. Ours too. The internet has so many wonderful resources….a few dodgy looking ones, but nonetheless, I have found a book called ‘A Severe Mercy: A Story of Faith, Tragedy and Triumph’ by Sheldon Vanauken’. I began following Audrey Roloff’s blog called Aujpoj.blogspot.com some time ago, but I recently stumbled across their “Navigator’s Journal’. 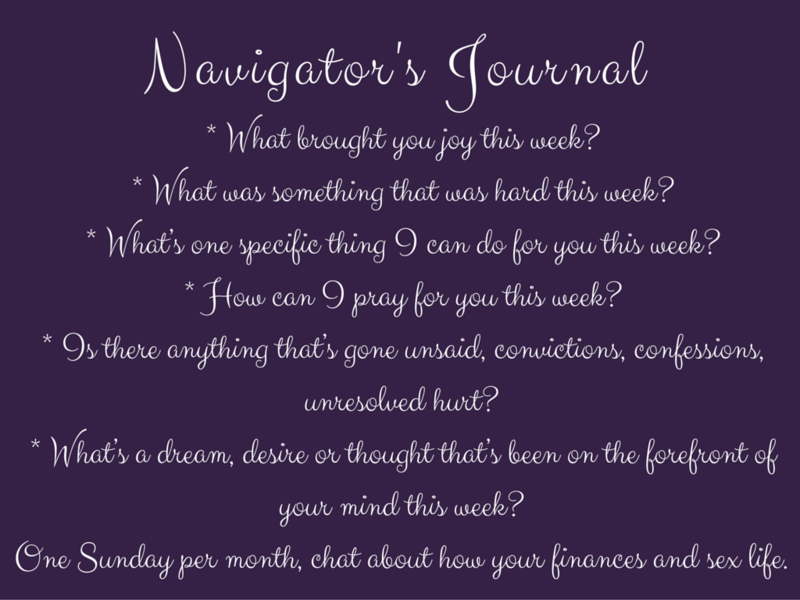 A marriage journal based on the book “A Severe Mercy”. ‘A Severe Mercy’ is an autobiographical book by Sheldon Vanauken. It relates the author’s relationship with his wife, their friendship with C. S. Lewis, and subsequent tragedy. Audrey and her husband Jeremy spend an hour each Sunday chatting about their marriage. They answer a number of questions and detail their conversation in a journal. They call it their Navigator’s guide. These are the questions Audrey and Jeremy ask each other each week. If you would like to use these questions your more than welcome, and you can change them to suit you if you feel too. So what are your thoughts? Are you also prepared to give one hour a week to ask each other these questions? Remember the days when you first met and had hours to spare just chatting about life, your dreams and your goals? Remember the excitement you felt when you were together in the early days? Well, just maybe committing an hour a week to chat about these questions can help reignite your relationship. There are so many resources to help make your marriage better. Dr John Gray, the man behind ‘Men are from Mars, Women are from Venus’, has a extensive knowledge to share about how men and women are created differently and why we communicate the way we do. If knowledge is power, its important to arm ourselves so that we can better communicate with our martians….I mean husbands. Check out this video by Dr John Gray. It goes for 20 minutes but well worth the time.